Thailand has a very comprehensive waste management system. Their national disposal plan is organized by the Royal Thai Government, and then distributed among the central government, regional governments, and local governments. Each agency oversees different part of the system. The central government and its ministries set standards and policies and define regulatory regimes. Provincial and district governments coordinate between the central and local jurisdictions and legislate specific regulations, while the local municipalities are responsible for the actual waste management which is contracted to private industry under Pollution Control Department. 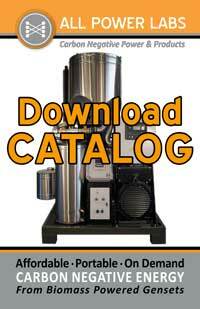 This results in a very comprehensive nationwide emphasis on recycling and waste reuse. 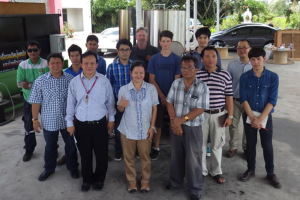 Zero Waste Co., Ltd installed a PP20 at their Bangkok facility to help expand the research and development of their refuse derived fuel (RDF) program. 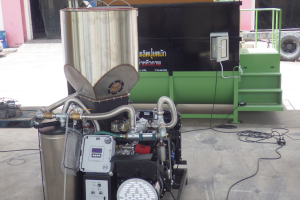 They specialize in waste to energy projects, using Municipal Solid Waste (MSW), Landfill Waste and Industrial Waste, in an effort to fulfill Thailand’s aggressive and ecologically enlightened waste policies. Zero Waste Co., Ltd. is developing extensive refuse derived and other waste to energy facilities and systems using gasification and other technologies to process hundreds of tons of various types of waste streams including agricultural waste biomass in addition to MSW.